PAIN AU LEVAIN: aka sourdough bread! I think that’s what I made. I am not a bread maker by any means nor a fermenter (yet) so I’m not 100% up on the terminology, hence the procrastination of writing this blog. Interestingly enough, I have never been more proud of my “cooking” self as I was tonight! I have never made bread- not even anything close unless you would like to include the multi colored Easy Bake Oven mini cakes I made when I was a kid! I called this fermented bread. I learned this in the class I attended at the Natural Gourmet Institute for Food & Health, NYC: The Miracle of Lacto-Fermentation by Peter Berley. When I posted my bread making status on Facebook, I received a few texts for sure from friends asking… WHAT IS FERMENTED BREAD? I will say– it’s probably sourdough bread if that is a more familiar term. 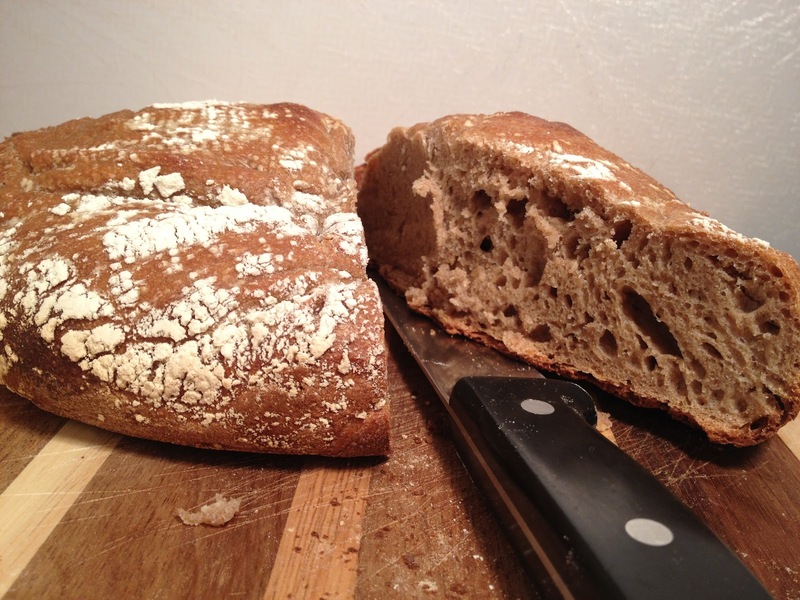 Through my studies I have heard about sourdough bread many times for it’s alkaline and pro-biotic ingredients. I never came across it though in my daily vegan travels. I love bread– honestly, who doesn’t. It’s one of my big three AVOIDANCES though. That’s my beginning commitment to take control of my health. That’s how it all began. That’s how I kickstarted my internal health movement for my body. No white bread- No white pasta- No white rice! Simple! So what is sourdough bread anyway? Why is it not only good.. but super beneficial? Peter gave us some starter culture in class. 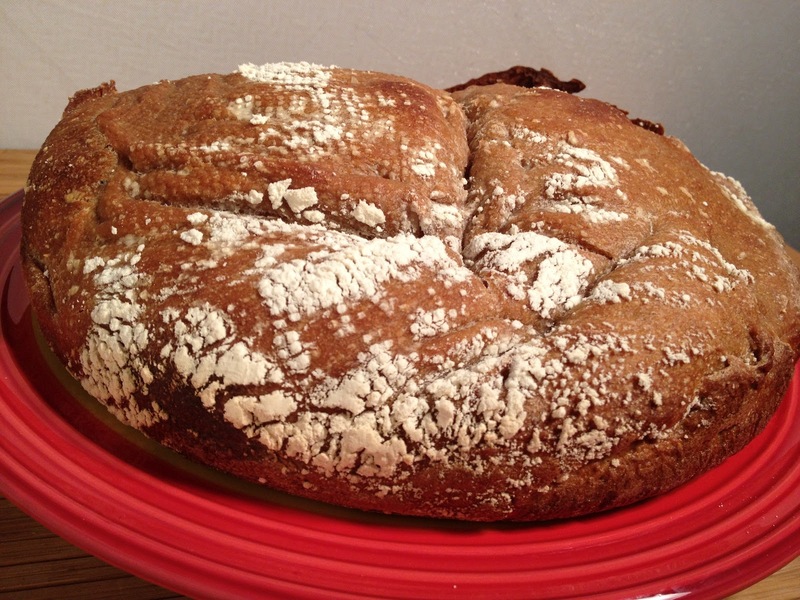 I had to feed this– and I still do because I want to make this bread again and again. I feed it by removing some and then adding whole wheat flour and water. There are many YouTube videos online about making sourdough bread. I’ll briefly summarize what I did but you would need to make or obtain a starter to make it this way. I had to review this recipe several times and set aside 24 hours for waiting, fermenting, kneading and stretching the dough– well worth it! I took only 1/4 cup of this special starter culture from class and mixed it with 1/2 cup water and 2/3 cup whole wheat flour- this I let sit out overnight (8) hours at room temperature. Next I mixed in 2 1/2 cups of whole wheat flour and 1 cup of unbleached white flour. I placed this dough on a lightly floured surface and inverted the bowl over the dough to hydrate– 30 minutes. I uncovered the dough and kneaded it for 7-8 minutes. Slightly oiled the mixing bowl- added the dough- covered it with plastic wrap and let ferment 20 minutes. I stretched and folded the dough and left again for 20 more minutes (did this two more times). Now I let the dough stay for 4 hours to double in size. I lightly floured a cloth and set it in the bowl. I inverted the dough back into the mixing bowl and covered with saran wrap for 2 more hours. Remove the dutch oven carefully- invert the dough into the pot, slash it and bake for 50 minutes– check for an internal temperature of 210 degrees. Cool for an hour and slice. This experience took some time as I had to understand the starter, feed it and then ferment it overnight with water and flour when I was finally ready. Then I had to look up terms like boule and Dutch oven. What?… That’s right– I didn’t know what a Dutch oven was. I went to buy one and found a really nice one on sale at Century 21 in Brooklyn for $79. $79 dollars!— The things I do for my blog. Now I have to research what to make next with this new Dutch oven thingy! 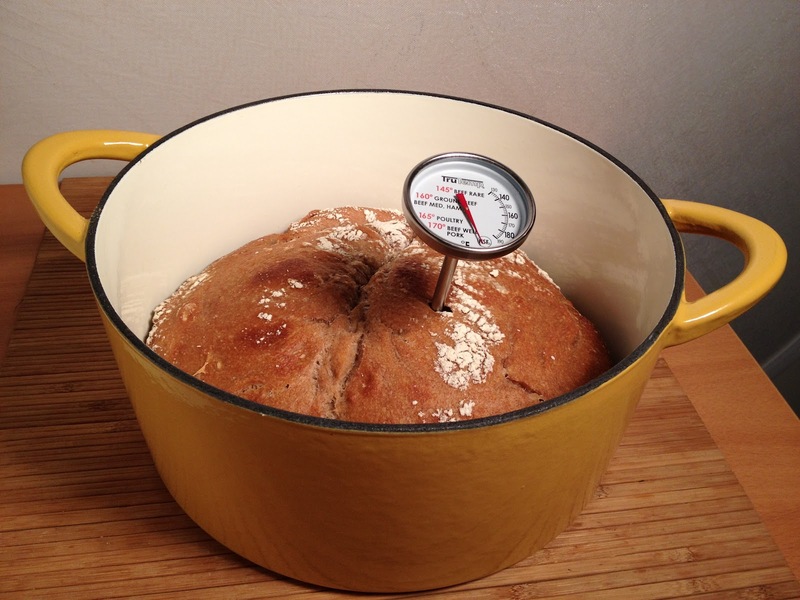 When I opened the oven to test the bread- I was simply amazed that I had created bread! There may have been the formation of a tear in my eye. I could hardly wait the hour for it too cool. I cut right into that bread after about 15 minutes or so and ate the biggest piece- truly incredible! My experiences are up-to-date but sometimes the writing lags a day or so. My apologies! Disclaimer: The information given here is for educational purposes only. You should not use this to diagnose or treat a health problem or disease without consulting with a qualified health care provider.